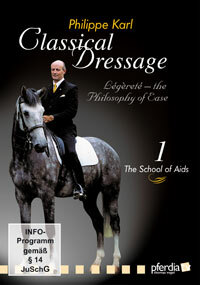 Légèreté – the Philosophy of Ease Philippe Karl’s philosophy for his training methods are based on understanding the physical and mental conditions of the horse, the ease of the aids and the horses movements. It is fundamental that the aids are taught clearly before the horse begins to do any gymnastic work. Complete flexibility of the neck is essential for the neck extension and flexion of the poll. 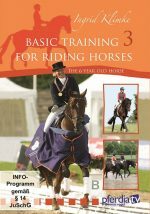 An introduction to training on two tracks completes the first part of this schooling series. 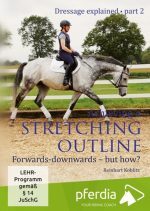 Content: Work on the lunge Basics Easy in hand Aids Under the rider Lateral Work Philippe Karl was a member of the famous Cadre Noir in France for 13 years. His riding technique is a feast for the eyes. 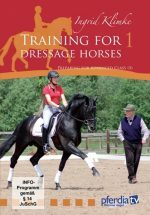 He is also well-known worldwide as a riding instructor, trainer and author. His impressive and perfect classical dressage presentations are treasured all over Europe. 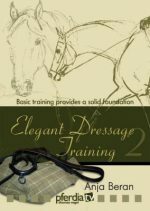 In clinics and courses, he presents the knowledge and the aesthetics of the old advanced riders, adapted to modern times.